Note: This article was initially published on the WUFT site on 1/24/17. Two hundred collectors gathered for the 38th annual Collectors Day at the Florida Museum of Natural History on Saturday. Although collections vastly differed, all were bound together by a common thread: a story. 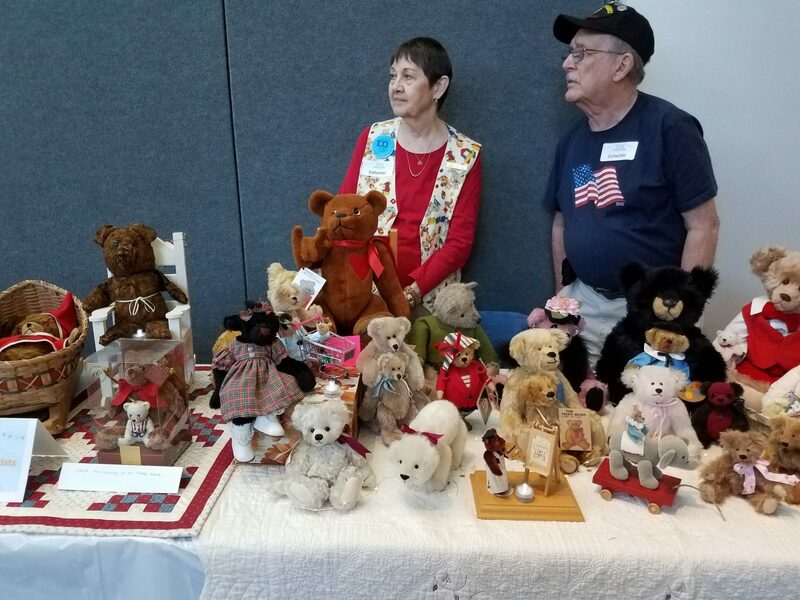 Myena Kerns said her teddy bear collection stemmed from a childhood love. Unlike most collectors, Kerns doesn’t acquire new items through purchases or donations— she creates her own. The Newberry resident — who said she takes bear individuality to heart — pointed to a brown bear sporting a bright red bow tie sitting high on a large pile of stuffed animals. 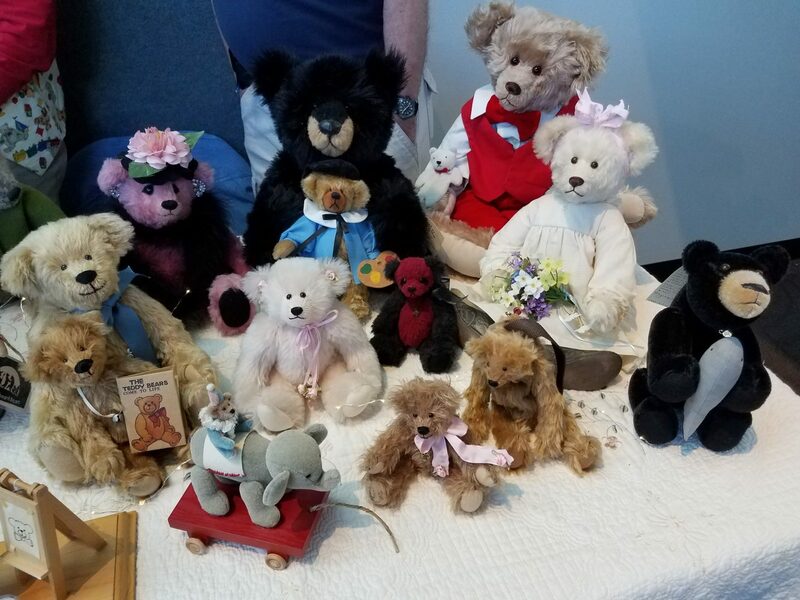 Although Kerns has been collecting since her childhood, the first bear she made was a gift. “I made stuffed toys for my children and grandchildren, and it just evolved from that,” she said. 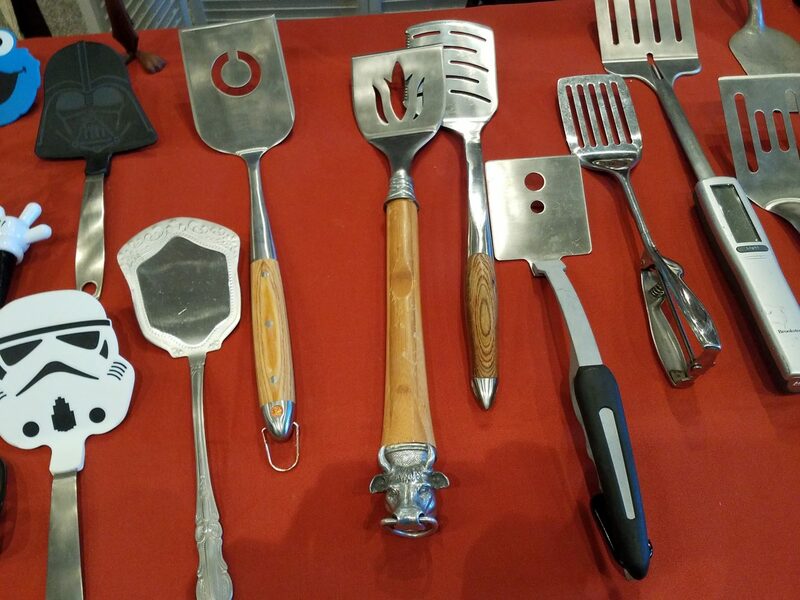 Spatula collector Jennifer Lewis said her 28-year spatula collecting journey began as a joke. “That started it as a silly thing, but then I really started to notice them everywhere,” she said. When asked about the total value of her collection, she said value is decided individually. 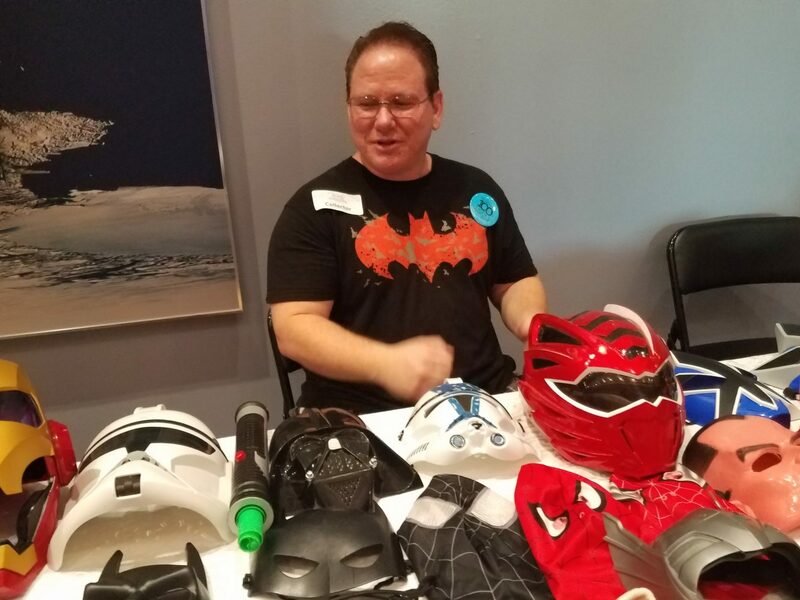 Mark Shelton said his mask collection stemmed from the bond he shares with his son. 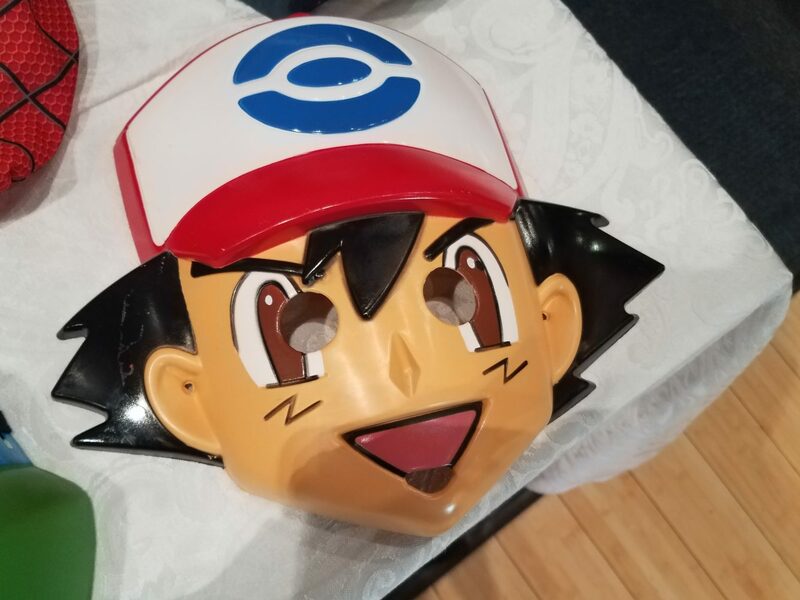 Holiday gifts for his son sparked their regular mask-collecting excursions, Shelton said. 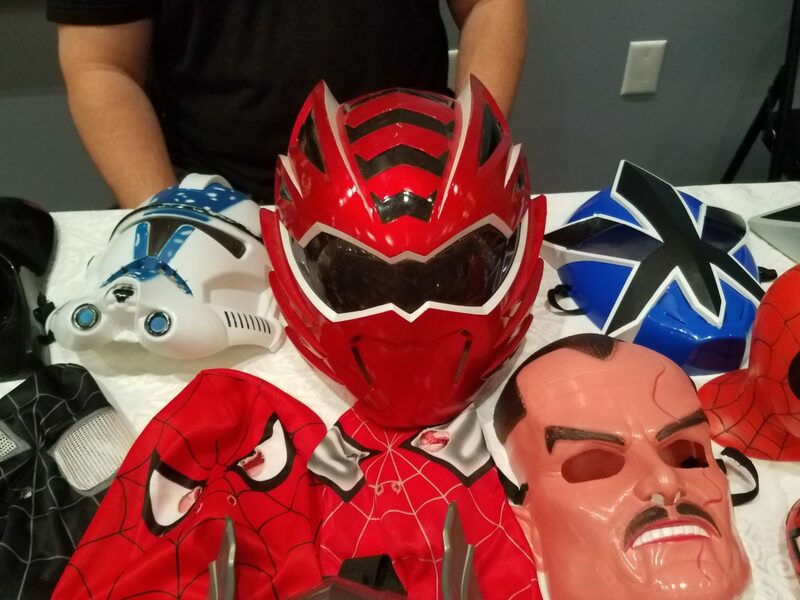 Shelton’s collection not only allows him and his son to become their favorite superheroes but other characters, too. Shelton said his son continues to inspire him to collect everyday. Shelton’s son isn’t the only force driving his hobby, he said. 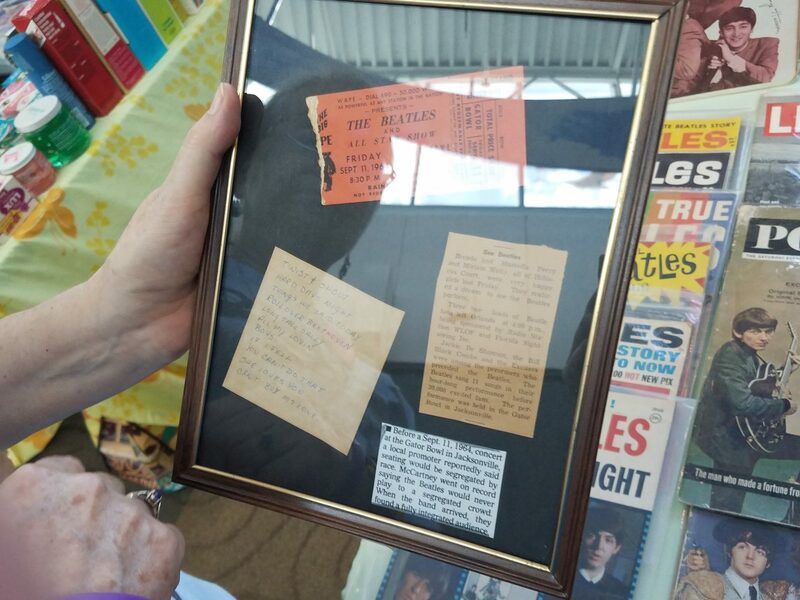 Self-proclaimed “Beatlemaniac” Miriam Elliott said she has been collecting merchandise from The Beatles since she was a teenager. “I would use my meager babysitting money,” Elliott said, laughing. Her love for the band was ignited when she saw them play in Jacksonville in 1964 at the Gator Bowl. 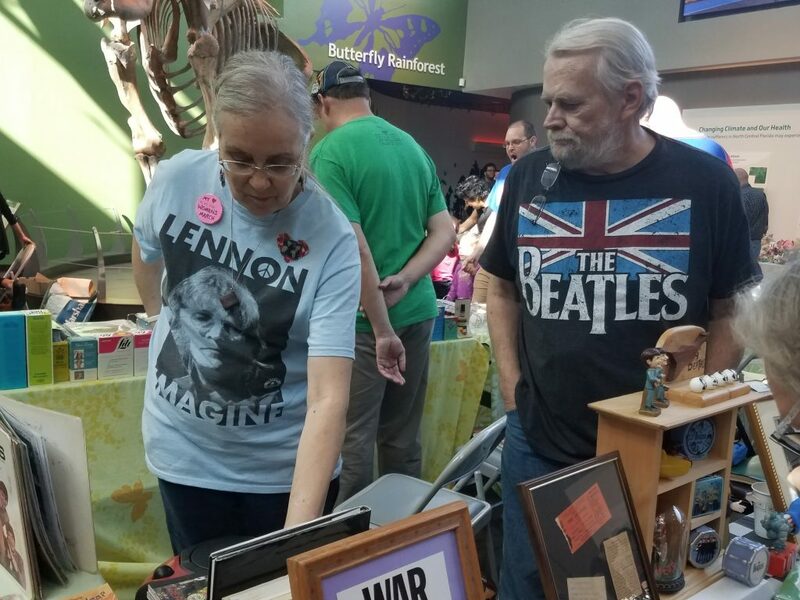 Although Elliott said she has always loved buying The Beatles items, she didn’t realize she was a collector until she came to Collectors Day for the first time. That conversation prompted her to organize and actively add to her collection, she said. Elliott has now been presenting her passion project at Collectors Day for 33 years, making hers one of the longest running collections featured at the show. 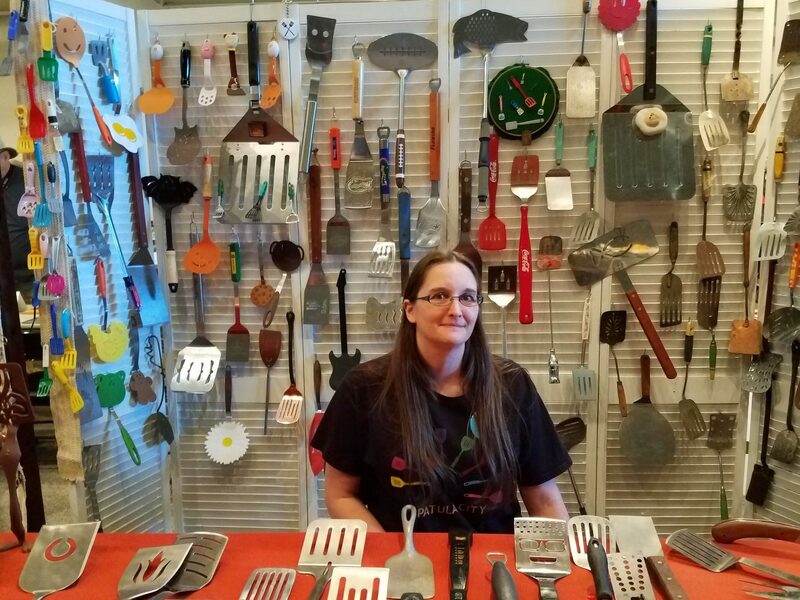 While her collection is impressive, she said she doesn’t just come to Collectors Day to show off her assemblage. 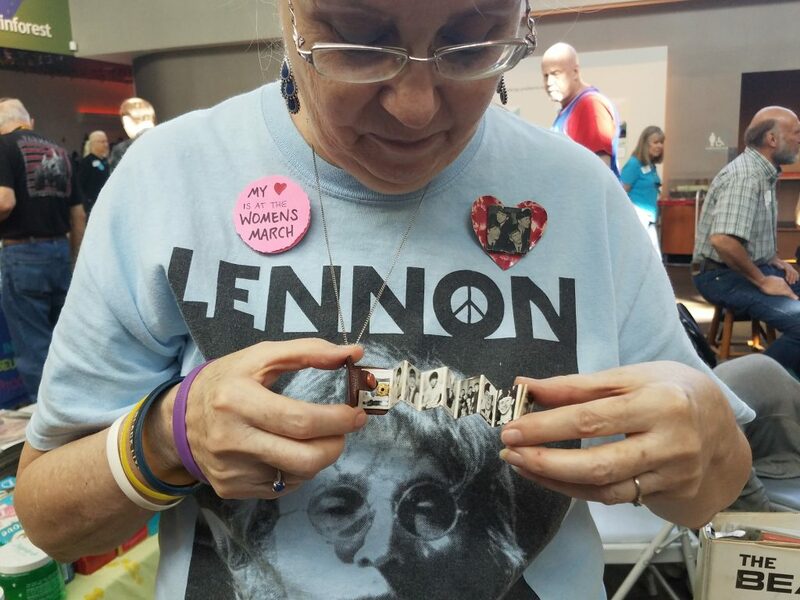 When asked about her favorite item in her collection, she pointed down to the necklace she was wearing that featured a discolored Beatles logo written atop a miniature brown book. “The gold lettering has worn off because I used to wear this to school and handled it a lot,” she said. Opening the book revealed it was an accordion filled with photos of the The Beatles’ faces. “I was able to look at the lads between classes, because I got them right here close to my heart,” she said.